Marie Claire, Catersource, Travel Pulse, and More! This week we’re mixing it up with a new round of client features, including Marie Claire, Catersource, Travel Pulse, and so much more! Keep scrolling to check it all out below. 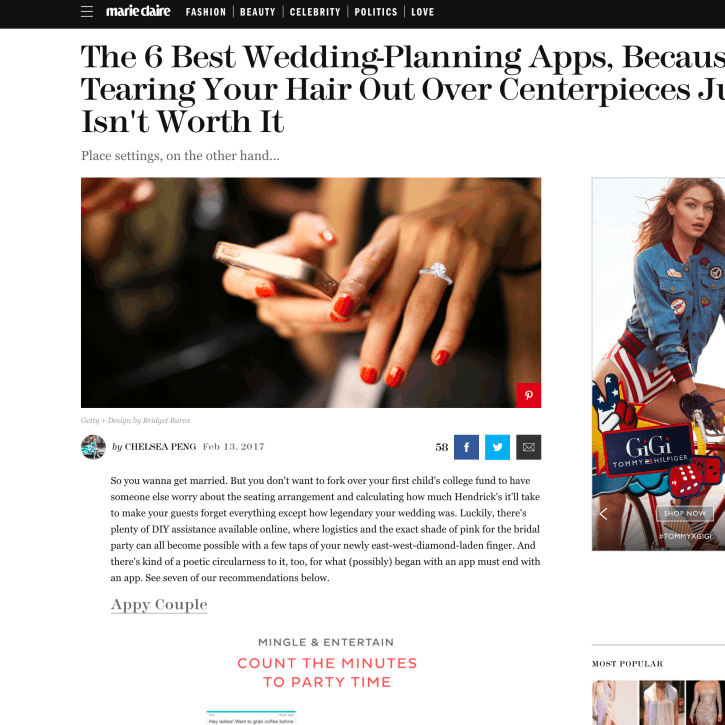 LadyMarry was featured on Marie Claire with their feature, The 6 Best Wedding Planning Apps. See the full feature here. Belladeux Event Design was featured on Catersource with her article, Band vs. DJ, What’s the Best Fit? See the full article here. OFD Consulting was featured on Catersource with their article, My Favorite Free PR Resources. See the full article here. All Inclusive Outlet was featured on Travel Pulse with their article, What Are Your Best Time-Saving Travel Tips? See the full article here. 100 Candles was featured on AllSeated with their article, Getting Creative with Candles. See the full article here. Where Will They Stay? was featured on Special Events with their article, Innovative Ways to Boost Your Bottom Line. See the full article here. Cocoon Events Management Group and Don Mears Photography were featured on AllSeated with their feature, Tips for Finding The Perfect Wedding Venue. See the full feature here. Taylor’d Events Group was featured on Catersource with their article, Let’s Get Real: What to Do When Your Client Has Off-the-Wall Ideas. See the full article here.